King wanted back at United? 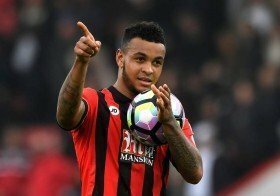 Manchester United interim boss Ole Gunnar Solskjaer is understood to have recommended the signing of Bournemouth's Josh King, who had previously been in the club's ranks. The Red Devils are likely to spend on new recruits at the turn of the year and Solskjaer has recently suggested that he would have an input in terms of the targets for the club. According to The Sun, Solskjaer is said to have an eye on the proceedings of King, who had previously made two appearances for United between 2008 and 2013. King has netted 37 goals in 118 appearances for the Cherries since joining them from Blackburn Rovers in 2015 and out of those, five have resulted from the ongoing campaign. The Norway international is currently said to be valued around £25m, although it remains to be seen whether the Cherries would consider a mid-season sale with the marksman forming an impressive partnership alongside Callum Wilson.